This long-running July event brings hands-on arts and crafts activities, theatre, dance, music and magical performances to Whistler Olympic Plaza. 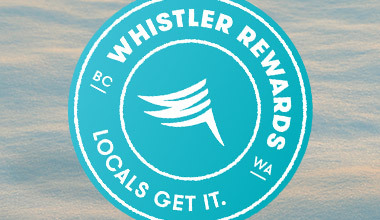 It’s the perfect excuse to visit family-friendly Whistler for a weekend or more. This is an overview of events from 2018, please check back for updates on 2019 events. Details: FREE Friday night dance party hosted by Whistler's own Ira Pettle, and entertainment from Stephen Vogler with local band, Some Assembly Required. Included with Entry: The entrance fee gives access to free activities such as the Colouring Village, the Book Nook, Giant Jenga, storytelling with the Ta Daa Lady and more. There will be performers on stage all day and roving characters to surprise and delight. Additional Activities (Tickets Required): A large number of paid activities will also be available. Returning favourites will include face painting and balloon twisting. New activities will take place under the Make-It Activity Tent and will include crafts such as Shaggy Shakers, Rain Sticks, Superhero Masks, Fuzzy Backpack Pals, Wind Chimes, and so much more. 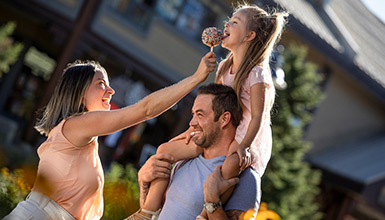 New This Year: Whistler Children's Festival will host a Mini Food Market, including local businesses and food vendors selling delicious snacks such as corn dogs, perogies, snow cones, and more. Tickets are now available on the Whistler Childrens Festival website. Tickets will also be available for purchase on-site on Friday, July 6 from 4 – 7 PM and from 9 AM until close on Saturday, July 7 and Sunday, July 8. Entrance Fee: $10 per day for children 3–10 years. Free for kids 2 & under, parents and guardians. Fun Tickets: Some activities require additional fun tickets, which can be purchased for $5/ticket. Purchase a fun ticket pack and save with 5 fun tickets for the price of 4. From activity registration to kid-friendly food and free events (hello, pyjama dance party!) here’s the Insiders guide to the festival.